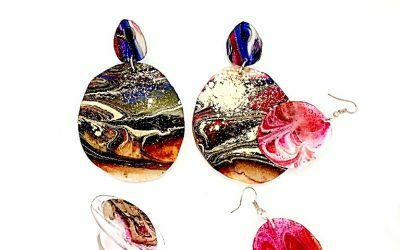 Cathy is a Melbourne artist who creates unique handmade, contemporary resin jewellery. The Veronica George Gallery is located in Melbourne, Australia. 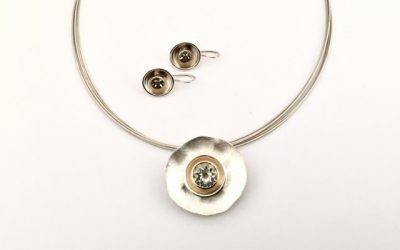 This website was constructed to serve as a showcase of the gallery's current art glass stock, hand made jewellery and forthcoming exhibitions. The gallery was opened in September 2001, and is located in the heart of Melbourne's arts and antiques precinct, at 1082 High Street Armadale. The Veronica George Gallery has a wonderful collection of art glass and jewellery by well known Australian Artists. There is a range of one-of-a-kind Art Glass to Studio Glass and Collectable's. The city of Melbourne, with its cultural and artistic reputation, provides a wonderful home for the Veronica George Gallery. Prestigious retailers and galleries, antique shops, cafes and restaurants surround the Armadale gallery. We are open Monday to Saturday from 10am to 5:30pm. We send worldwide, tax free and insured.